Honored as “Best Pavilion Award” in DTG Exhibition-2019. Offering special technology for Special fabrics like- Sweat, Spacer, Lycra, Polyester, Bigger Loop. Closely working with all leading factories like-Square Group, DBL Group, Knit Concern, Metro, Echotex, Purbani, Asrotex, Mondol, Epyllion and many others. Special Correspondent: Lisky—the world-famous textile machine manufacturer, which provides complete knit solution from its own plant in Taiwan as well as supplying Dyeing & Finishing solution from Germany, Turkey and Italy. Lisky has continuously been introducing new innovation and different types of special technology for producing special fabrics. Lisky has been working with all leading factories in Bangladesh like- Square Group, DBL Group, Knit Concern, Metro, Echotex, Purbani, Asrotex, Mondol, Masco, Epyllion and many others. Lisky has been holding up its leading position in Bangladesh market for many years. 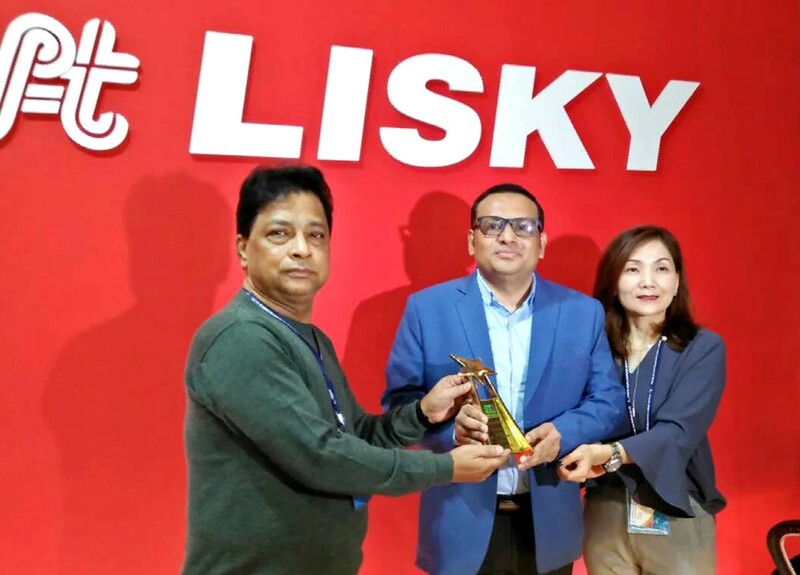 It is worth mentioning that Lisky has been honored with “Best Pavilion Award” achieving 1st prize as the ‘Best Brand’ at the recently concluded 16th DTG fair (Dhaka Int’l Textile & Garment Machinery Exhibition) held on 9-12 January, 2019 at the International Convention City, Bashundhara, Dhaka complying four criteria. The exhibition authority handed over the Crest to Mr. James Lin, Chairman of Lisky Technology Co. Ltd. and Mr. Shoquet Rashed Mamun, Managing Director of Lisky. Lisky had brought special technology-based different machines on the occasion of DTG-2019. The new machines are: Sweat Fabrics 12 gauge for DBL Group; Spacer Interlock Fabrics; Full Jacquard Double System Flat Knitting Machine, Krantz (Germany) new version Low Liquor Series machines for fabric dyeing & yarn dyeing. Lisky has also brought special technology for Dyeing and Finishing sector. It is working with world giant “Krantz” from Germany, and introduced new special technology for special fabrics with low liquor ratio. Moreover, Lisky is also dealing with ‘Stenter’- fabric finishing machine of famous MEGATEX Brand from Korea; WENDEL Compressor from Germany, PRO-SMH- Complete Denim Solution from Germany and Turkey. Lisky is the highest seller of knit machineries in Bangladesh RMG market (6700+ installments). Lisky has been highly appreciated by the entrepreneurs for its specialty in After-Sales-Service as well as too caring to the clients. Now, Lisky has showed keen interest in dealing with Sportswear, which is a new dimension in Bangladesh’s readymade apparel arena. It is noteworthy that the global Sportswear market now stands at $270 billion. Many Bangladeshi apparel makers are now coming with huge investment to enter the global sportswear markets, as demand for the items is on the rise. 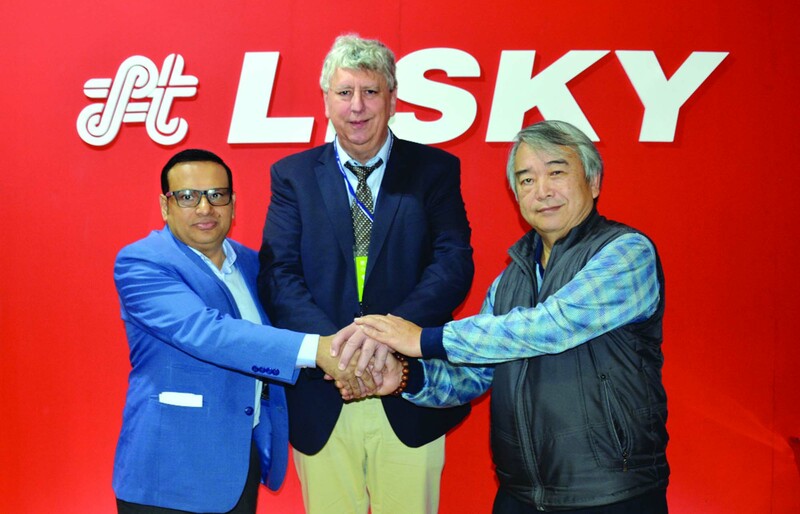 Here, Lisky has taken an initiative to set up a Sportswear manufacturing plant with sophisticated technology at Sadapur in Savar near Dhaka as its new venture. The world-famous German dyeing machine brand ‘Krantz’ has joined hands with Lisky in Bangladesh to explore the market here. Lisky started with ‘Krantz’ with a commendable response and well reputation.